What now for rural areas with slow access? The Labour government is set to ditch plans to tax landlines to pay for improvements to the nationwide broadband network, at least until after the next general election. The 'broadband tax' was one of the most unpopular plans suggested as part of Lord Carter's extensive report into Digital Britain earlier this year. The government has backed away from the unpopular tax following extensive criticism from the voting public. And it's not hard to draw connections to see that a plan to introduce a massively unpopular tax is not really something that is going to generate votes at a general election! So the plans for the £6-a-year tax on landline users have been put on ice. The Conservative Party, meanwhile, has been gaining party political points by announcing its own plans to dump such a tax, should it gain power at the next election. What now for rural Britain? Adam Marshall, of the British Chambers of Commerce, told the Guardian: "Both political parties need to find a consensus about how the next generation of broadband will be delivered, regardless of who is in Downing Street. Businesses need sustained, efficient infrastructure investment in place to deliver growth and jobs." There is now concern over at The Country Land & Business Association that if the 50p-a-month levy "is not implemented quickly, the digital divide between urban areas and the countryside will become even greater." Which is presents the Tories with a serious conundrum (should they gain power at the next election) – drop an unpopular tax to gain support? Or risk losing support amongst its traditional rural, middle England heartland? "The government's apparent indecision over the proposed broadband tax is to be expected. The cash raised from such a tax would not be enough to fully finance a next generation network, and it would also be unfair on those consumers who have a landline but choose not to have access to broadband. "Ultimately, the longer the government takes to make a decision, the further away a next generation UK broadband network becomes. The real losers here are broadband users in rural areas who suffer a second-class service at a higher cost – and will continue to do so until the Digital Britain vision is realised." 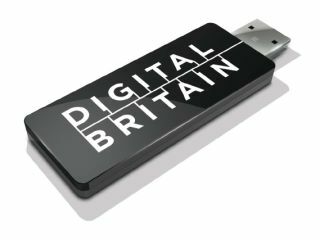 For more on Digital Britain you can head to the original news coverage from back in June 2009.